Almost two years to the day that Mozilla acq-hired him, Firefox Creative Lead Aza Raskin will be leaving Mozilla on January 1 to found a new startup called Massive Health. 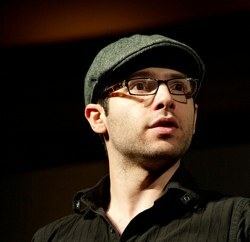 Raskin started out as head of user experience at Mozilla Labs where he spearheaded projects such as Tab Candy, Ubiquity, Jetpack, new mobile interfaces, and geolocation specifications. Now, at Massive Health, he wants to bring better interface design to help people take control of their health, specifically people with weight-related health problems such as obesity, heart disease, and diabetes. Massive Health will present people with better data and tighter feedback loops so they can assess how the actions they take today will impact their weight and overall health. His co-founder is Sutha Kamal. Atul Varma—another Mozilla colleague and his former CTO at Humanized (the startup he sold to Mozilla)—will be also be joining him. Better health through better information is a huge, mostly-untapped opportunity. We’ll be following Massive Health closely once it launches. Here is Aza’s post on his departure.